Winter is approaching, so quickly it seems! Earlier this year I set out to make myself an afghan throw blanket. Now I crochet a lot, but have never made myself an afghan, so I'm really looking forward to making something for myself. I chose colors of my favorite color combination. I just love these colors together. Bright and cheery! 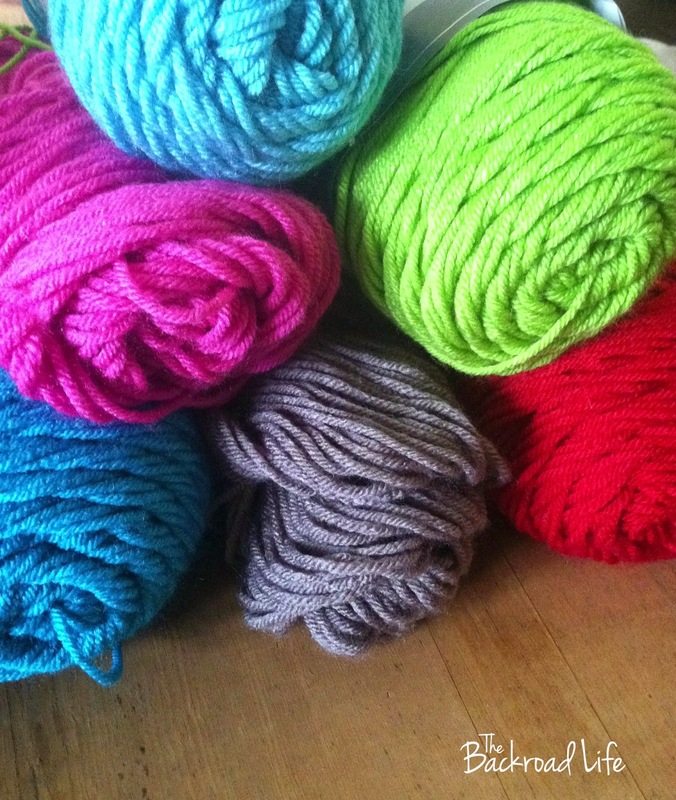 I also picked one of my favorite brands of yarn for this project. I love how soft it is and easy to crochet with. I have a long way to go as I got away from it for a few months, but I'm fitting in making a few squares here and there with different color patterns. 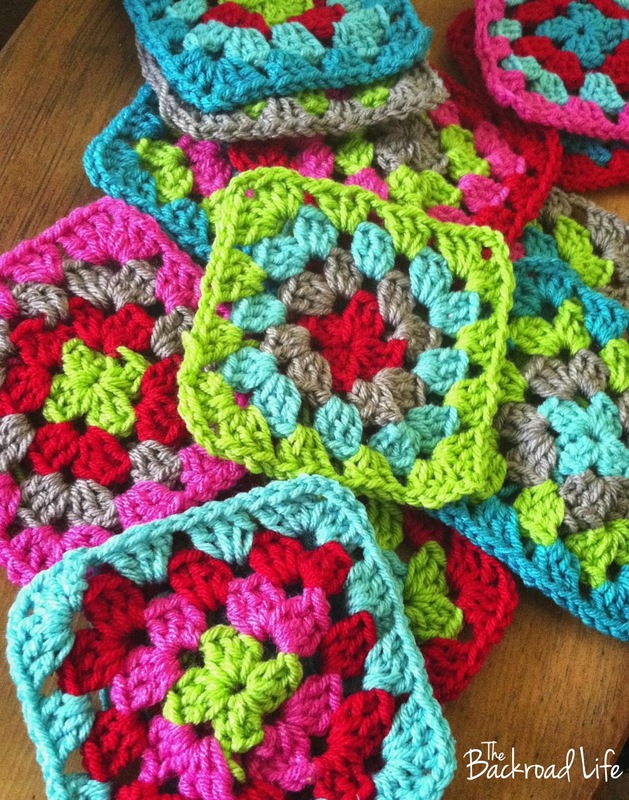 I am loving how each granny square is turning out and look forward to putting it all together. I can't wait to wrap up with it this winter, especially as much as I hear about the cold temperatures and snow predictions. 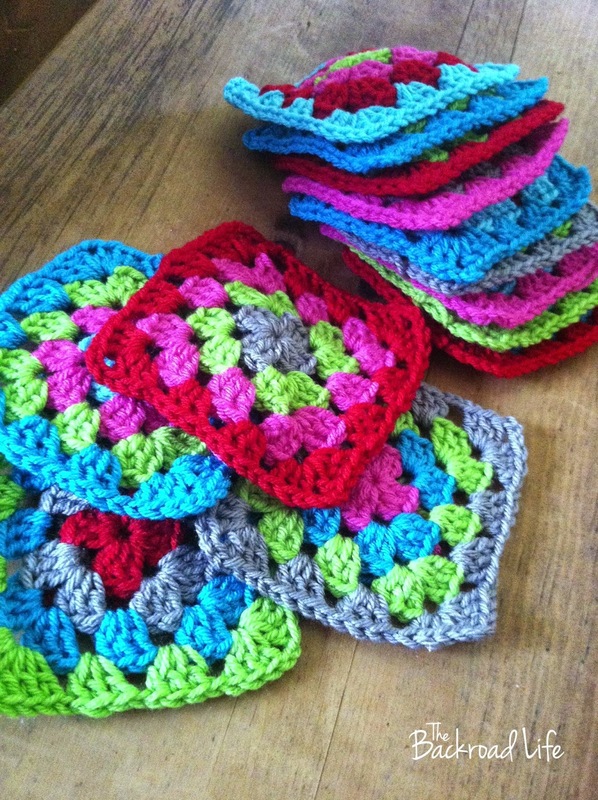 Do any of my readers crochet?